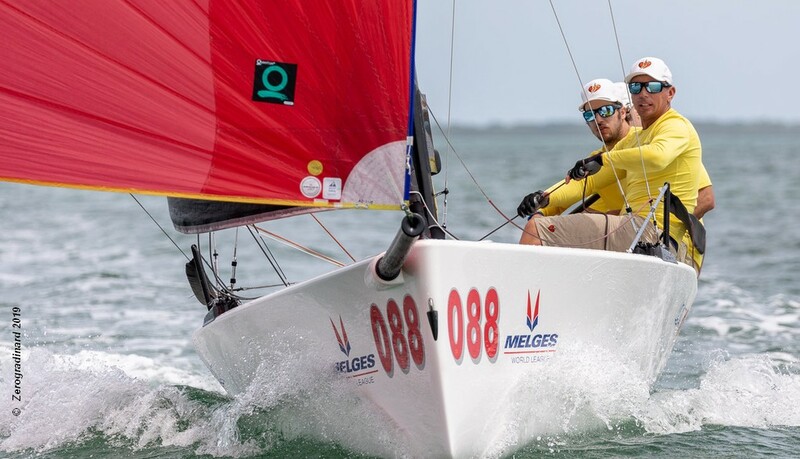 Robert Hughes sailing USA88 takes a three point lead after five races completed at the Melges 20 World Championship in Miami, USA. Overnight leader Daniel Thielman and his team have won three of the five races so far, but one mid-fleet finish Friday was enough to knock them to second position. Friday’s race wins went to Vladimir Prosikhin’s RUS 309, with Daniel Thielman’s USA 7676 taking two wins.